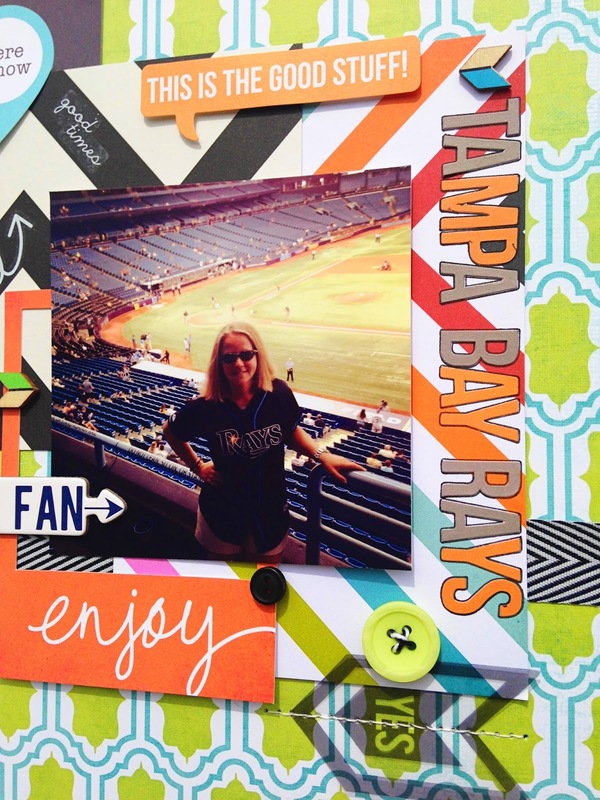 Today I have another layout to share that I've made with the Clique Kits June Show & Tell kit. 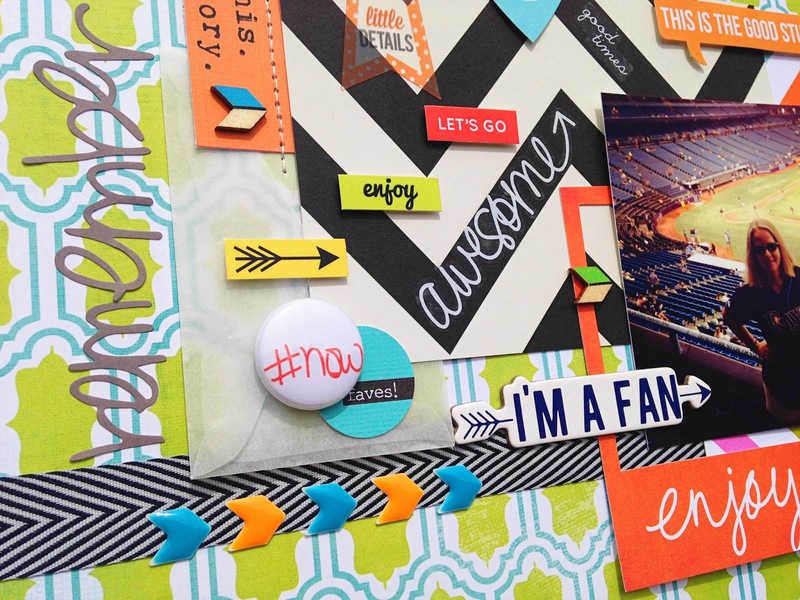 This kit is loaded with Heidi Swapp's My Favorite Things, Simple Stories DIY Boutique, Chic Tags and Pinkfresh Studio. The photo I used is taken during our last trip to Florida. I'm a huge baseball fan and there's no better place than the States to watch a game, so we went to a game of the Tampa Bay Rays in St. Petersburg. Fabulous layout Danielle!!! Love the mix of patterns and your layering! Looks like you had a wonderful time in Florida!! Loving what you are doing with this June kit!! Beautiful!! LOVING all the different colors you mixed and loveeeeeee the stitching!!!! I adore this layout! Love all the layers and the photo!! Awesome work! What a fun fun fun layout!! The citrus colors in your layout SCREAM Florida (in a good way!) Thanks so much for sharing !! 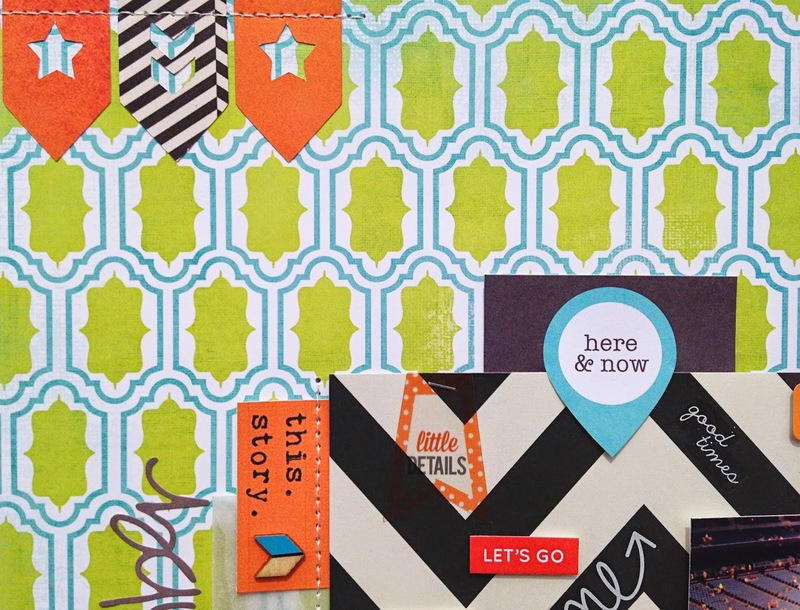 I love the layering of small bits and pieces!